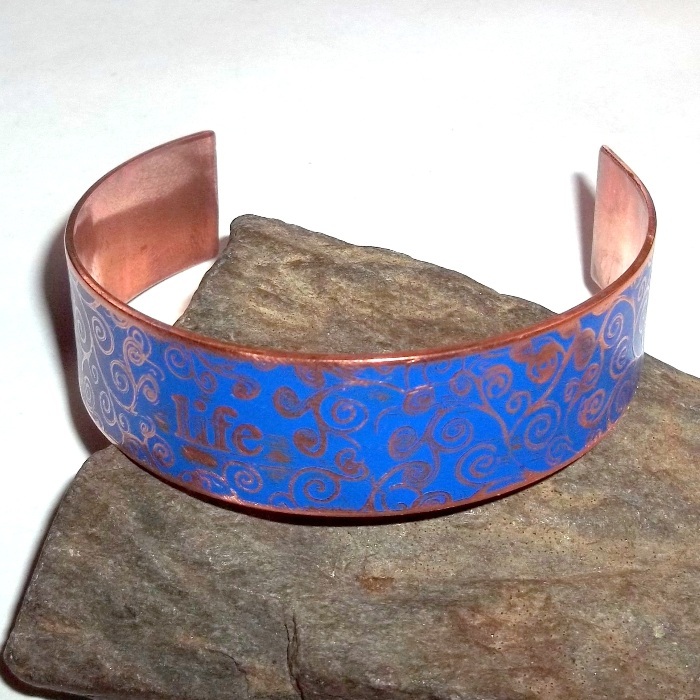 An etched, hammered copper cuff bracelet with a scroll relief and blue patina, fully adjustable. 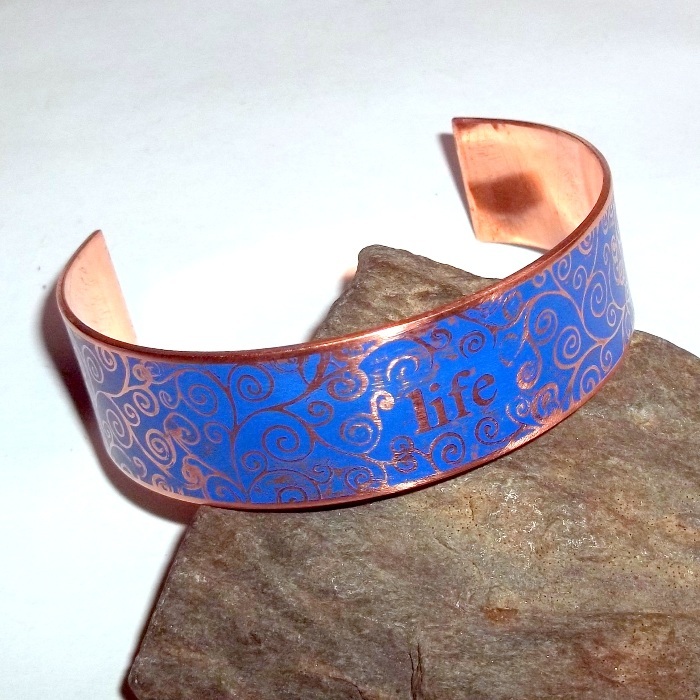 At the center of the bracelet the word LIFE is etched into the copper. 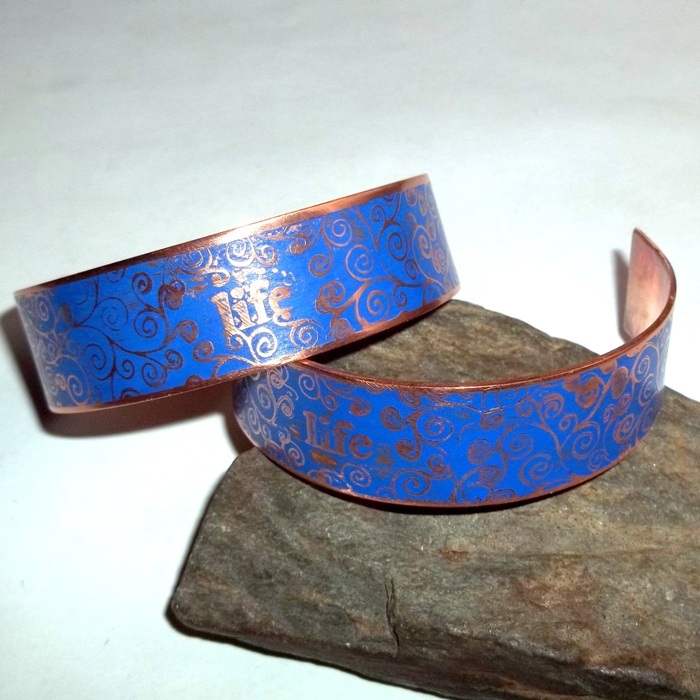 A scroll design was stamped onto the copper, and then it was dipped in acid to make the design a 3 dimensional relief. Then the bracelet was hammered, shaped, and tumbled for hours. The copper was brushed with permanent cobalt blue patina, followed by hand sanding to bring the original copper color back to the surface. The copper was then sealed with three coats of wax and hand buffed. 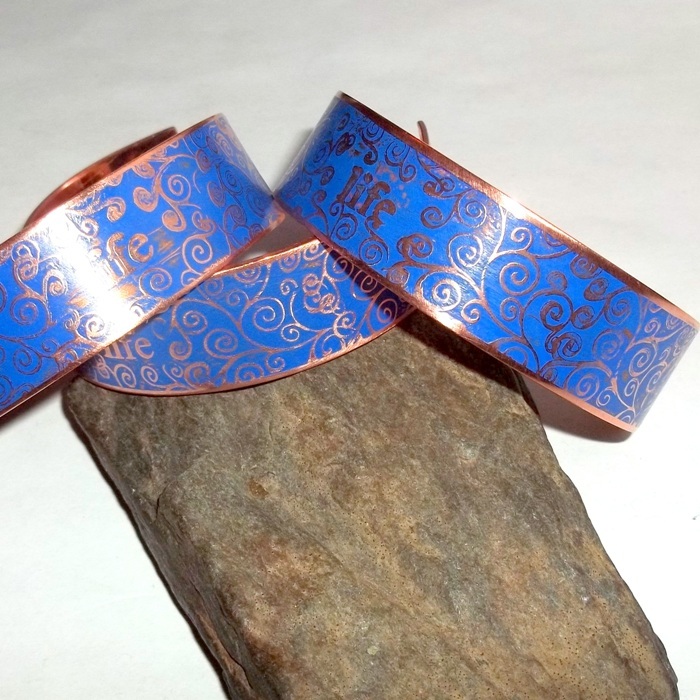 Copper is 3/4 inch by 6 inches . The bracelets are flexible and will mold around your wrist easily.